The McQuades — A set of icons in multiple sizes for Trunk Club brand and app. Trunk Club is a clothing service for men that pairs clients with personal shoppers and delivers hand selected items. The icons help the user navigate through the variety of styles and accessories available at Trunk Club. 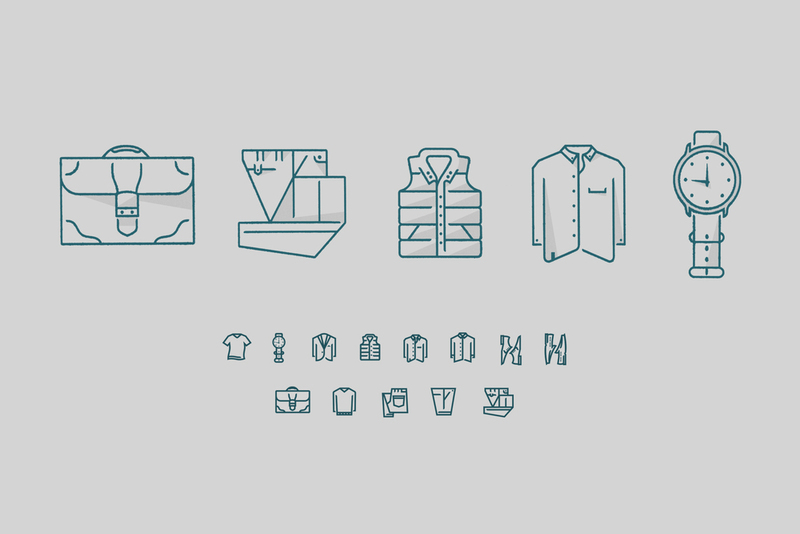 A set of icons in multiple sizes for Trunk Club brand and app. Trunk Club is a clothing service for men that pairs clients with personal shoppers and delivers hand selected items. The icons help the user navigate through the variety of styles and accessories available at Trunk Club.